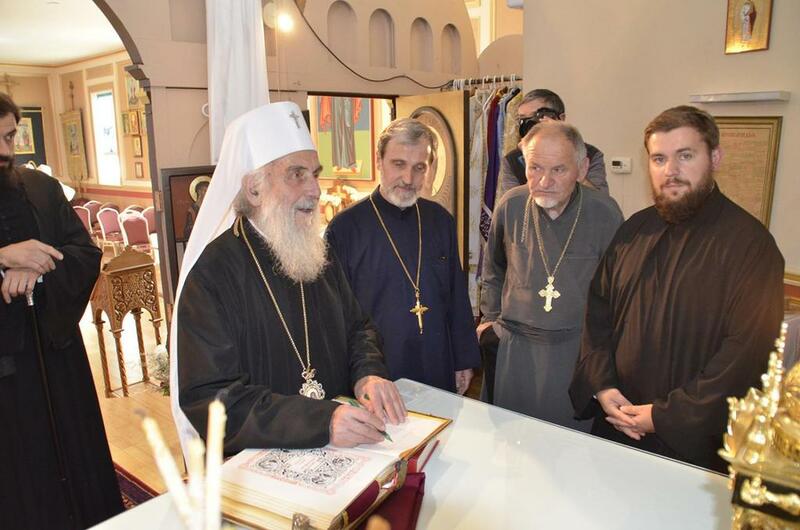 Vancouver, British Coloumbia - After the Holy Hierarchical Liturgy at St. Archangel Michael, His Holiness Serbian Patriarch Irinej, administrator of the Diocese of Canada, visited the oldest church in Vancouver, dedicated to the first Serbian Archbishop, St. Sava. 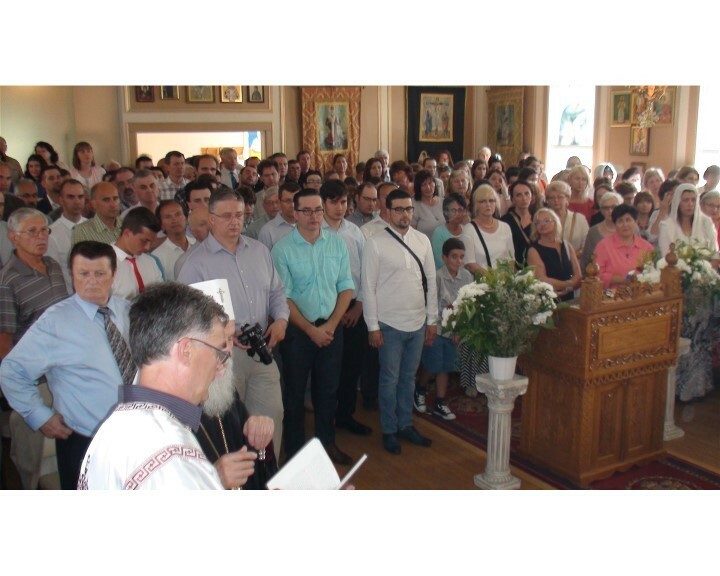 The welcome at the church was magnificent: many of faithful from Vancouver and surrounding areas welcomed the first heirarch of the Serbian Church with joy and love. Vespers was served by one of the parish priests, Fr. Marko Radmanovic and Fr. 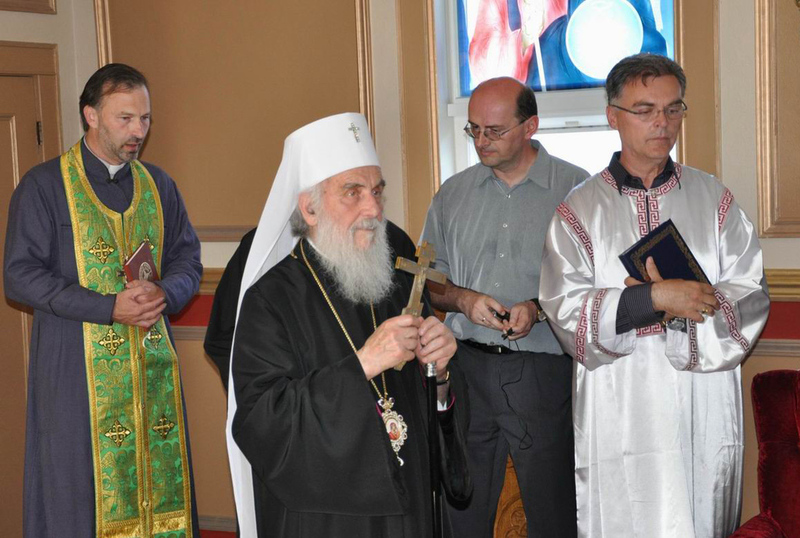 Roman Saplan (Ukrainian Orthodox Church) and Protodeacon Damjan Bozic. At the chanter's stand were V. Rev. Stavrophor Vasilije Tomic, the episcopal deputy; V. Rev. Drago Knezevic, the dean of the church; V. Rev. 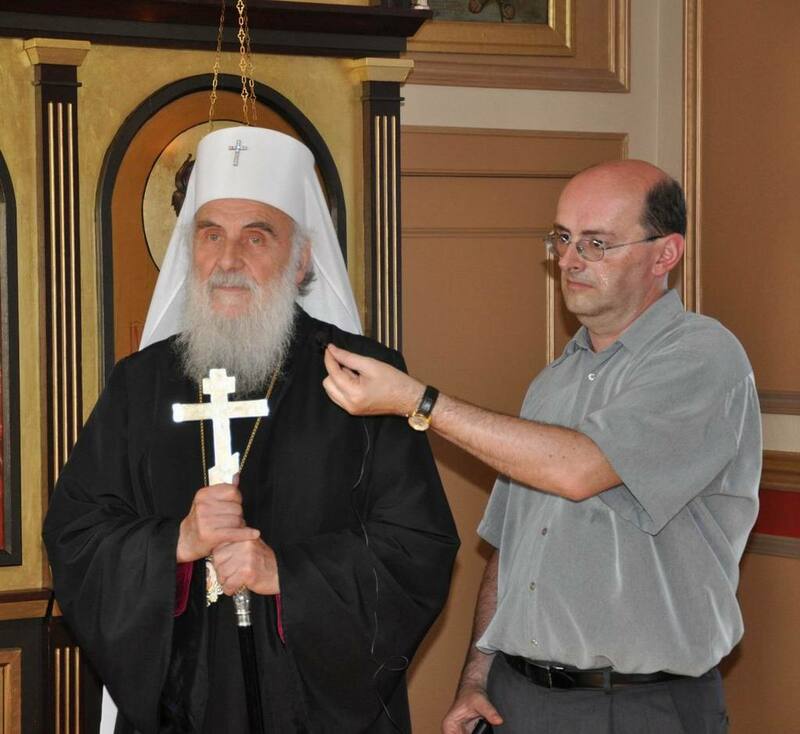 Stavrophor Miroslav Dejanov, long-time parish priest, and V. Rev. 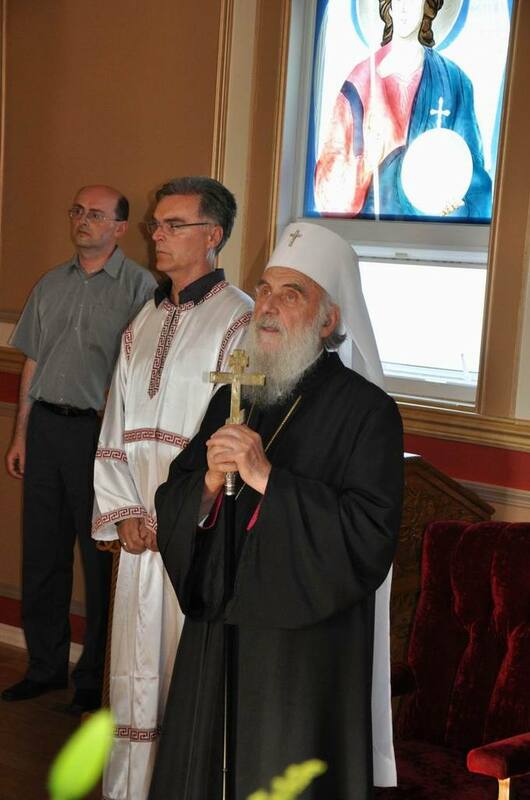 Malisa Milovanovic, dean of the St. Archangel Michael Church in Vancouver. 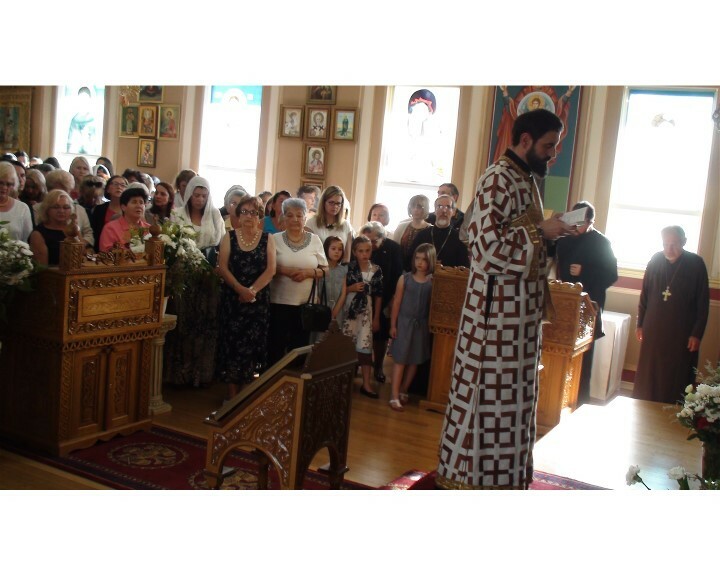 The best choir in western Canada "Stevan Mokranjac" sang the responses at the litanies, as they do at each service at St. Sava's. V. Rev. Drago Knezevic offered words of welcome on behalf of the parish priest and faithful people of Vancouver. His Holiness offered the faithful words of instruction, of their Archpastor, that they keep their faith, tradition, customs and language against all the different storms and waves. In his homily, citing Psalm 133, "how good and pleasant it is when brothers dwell in unity" he asked that the blessing remain there where there is Christian love and unity, which makes a healthy and firm foundation of our faith. 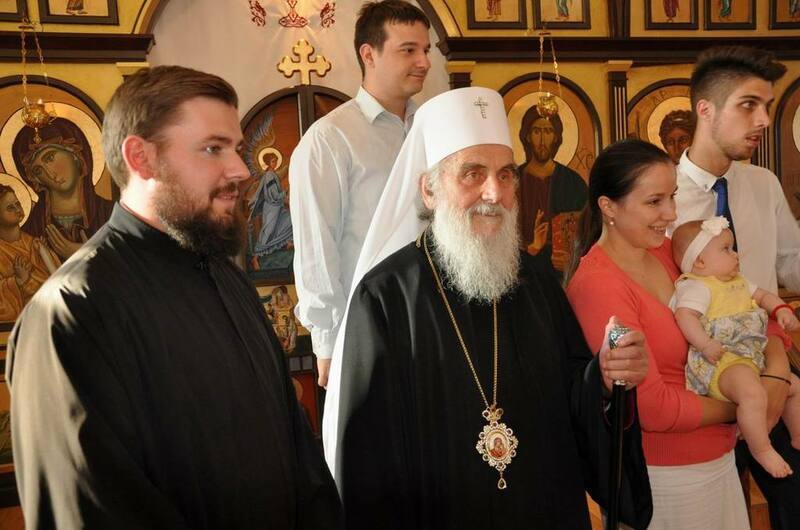 After receiving a blessing from the first hierarch of the Serbian Orthodox Church, refreshments were served in the church hall, prepared by the hard working members of the Circle of Serbian Sisters. 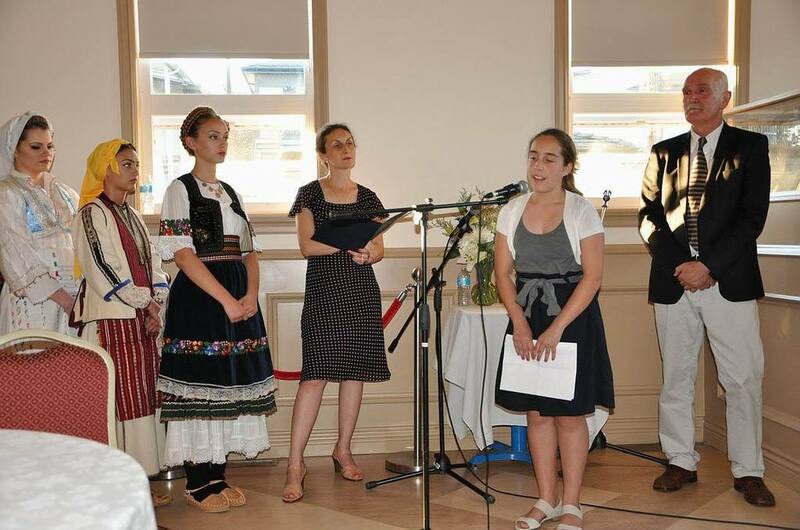 A program was prepared for this occasion by the "St. Sava" Serbian School and folklore group "Vuk Karadzic". The program began with words from the president of the church-school congregation Janko Vujanovic. 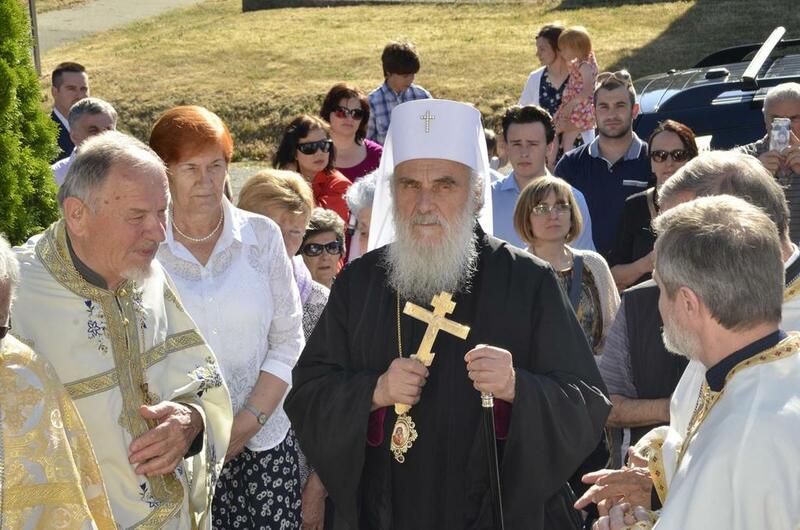 He gave His Holiness a history of this Serbian colony and community. 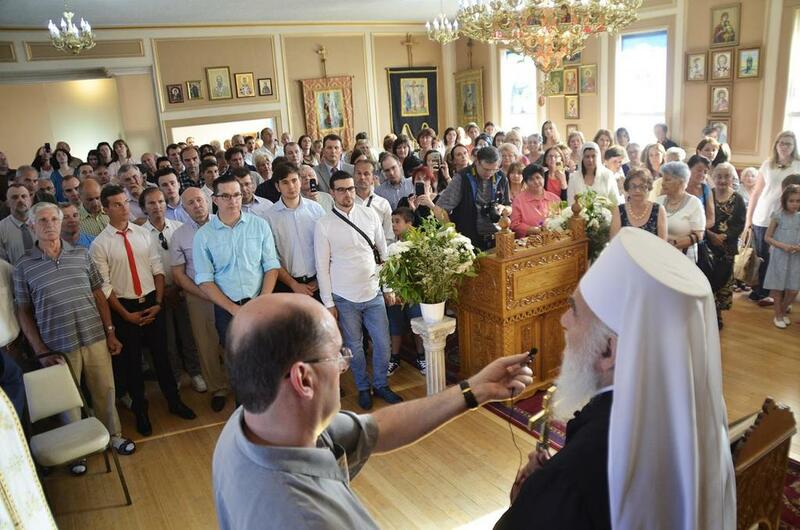 At the end, the faithful bid farewell to His Holiness Patriarch Irinej and administrator of the Diocese of Canada with the greeting "Dolgodenstvju, Holy Bishop". 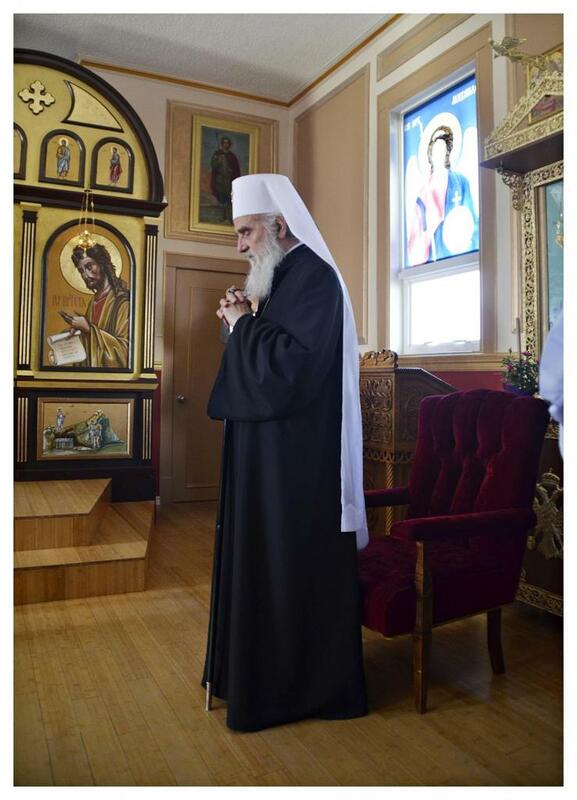 This historic church was the spiritual center of Serbs in this region of Canada. According to many historical chronicals and writings, the migration of Serbs to British Colombia can be broken up into a number of periods. The first can be taken as the beginning of the 20th century, or the period before World War I. This is when Serbs begin migrating to British Columbia and mining towns, areas where there were factories for wood processing, out of economical and social reasons. The second period of migration occured between the two world wars, particularly between 1926 and 1928 - also out of economic reasons. 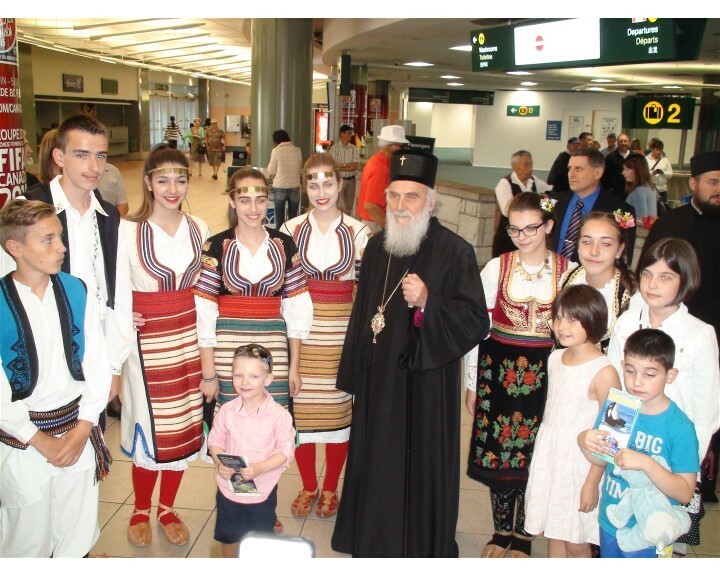 Also in Vancouver more and more Serbian immigrants arrived. The third period - after World War II - was political. The fourth, in the early 1970s was out of economic reasons. The fifth, perhaps the largest, was caused by the wars in the former Yugoslavia and occurred betwen 1991-1999. It is estimated that just in this period some 8,0000 to 10,0000 Serbs moved to Vancouver. The first meeting for establishing the Serbian parish was called on February 23, 1969 when three important decisions were made: that the Serbian Orthodox community be founded with the desire of spreading the Orthodox faith through Christian love and respect for one another; that a building fund be started and to grow the church membership full of excitement for realizing the plan; the church board was chosen from seven members of the community. Later it was decided to join with Bishop Sava, Bishop of Eastern America and Canada, with headquarters in Cleveland, Ohio. 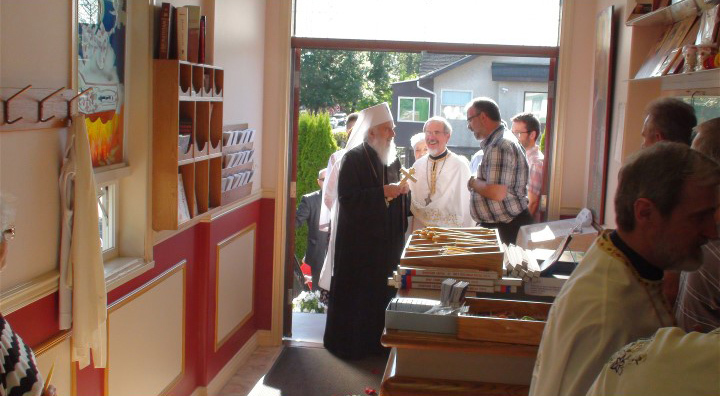 Before his first visit to Vancouver Bishop Sava told the Orthodox community: "I beg all of you in the name of our Lord Jesus Christ, with whom the soul of the Serbian people is firmly connected through the efforts of our Saint Sava, that you care for His Church as it befits those who belong to Christ not only in name but according to how we live our lives, and that you improve on it with the fervor of the first Christians. May the Lord flare up in your hearts love for Him and His Church just as He did on the day of His Resurrection to those travelling with Him to Emmaus (Luke 24:32), for it is said that only those burning can ignite others." The consecration of the church was on July 25, 1971. 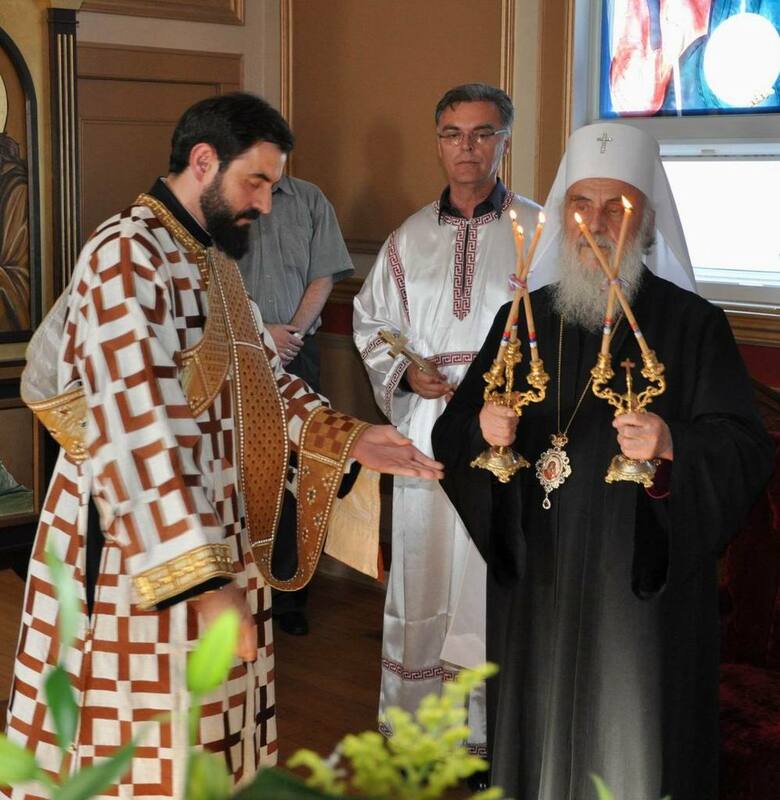 His Grace Bishop Sava of Eastern America and Canada officiated. The debt on the church and hall was paid off on February 26, 1979 when Bishop Christopher of Eastern America and Canada made his first canonical visit. The iconography on the iconostas was completed by Dita Cvitanovic and Agnes Naumovic. Academic artist Vladeta Petrovic did the Old Testament depictions on the lower section of the iconostasis as well as the Apostles. Branko Veleglavac did the cross on the church. There are three offices below the church, class rooms and a library.